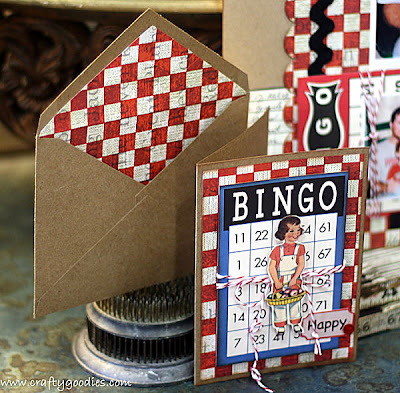 This is the work I did for Vintage Street Market ~ I love the Bingo Craft cards, Twirly Twine and the Family Fun Collection!!! The layout using the Family Fun Collection, Twirly Twine, Bingo Craft cards and the Tinted Tape!!! 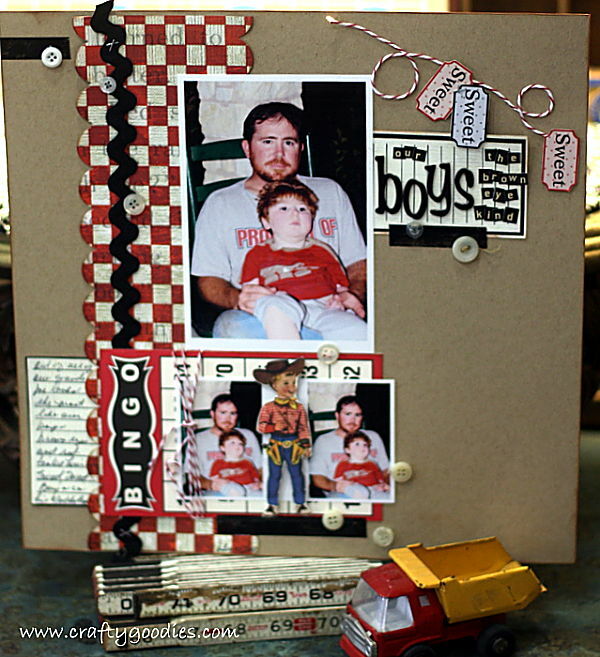 The card~using the Family Fun Collection~love lining the inside of the envelope with the matching paper!!! I used Helmar 450 Quick Dry to adhere the Bingo card to the tissue tape~works awesome!!! 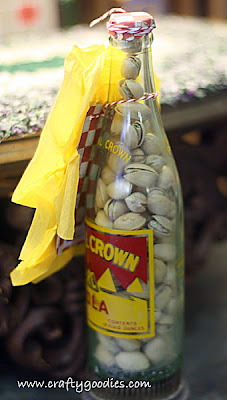 This is a cute gift idea, using a vintage soda bottle!!! 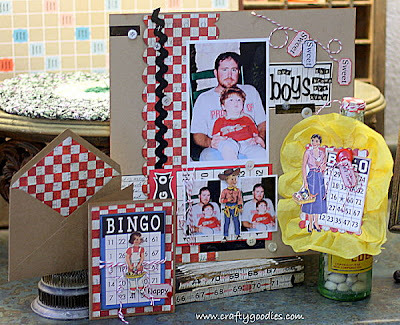 Love the LO Connie....Happy NSD! 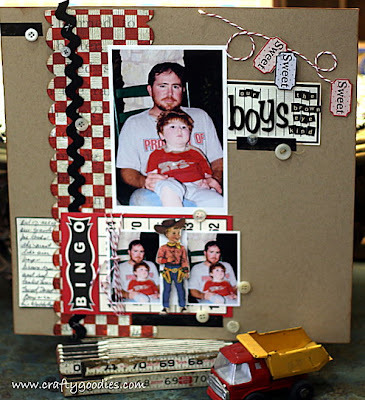 Have fun and Happy National Scrapbooking Day. These are GORGEOUS!!! 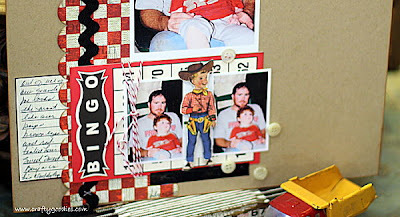 I loveeeeeeeeeeee all the red checkered papers! 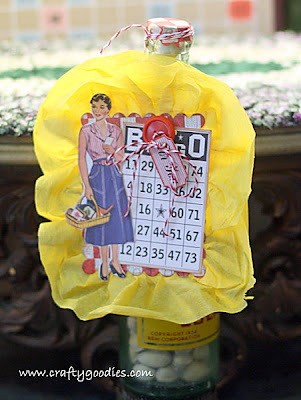 And love love love what you did with that jar!!! what amazing fun projects, and oooo i can eat my weight in pistachios.